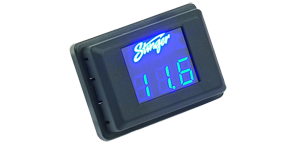 Stinger voltage monitors allow you to monitor your electrical system at a glance. If you want to add a professional look to your system add a voltage monitor. A voltage monitor lets you see how well your system is performing, and exactly how much voltage is running through your car audio system.